We are so excited about this new system. It is going to allow us to be more efficient and cost-effective as we move this great organization forward as a member-focused world-class organization. As you enter into this new system and a new way of doing things, please keep in mind that although change is new and exciting; it can also be challenging. You may have some challenges navigating this new system, but the membership team is available to answer all your questions and provide assistance when needed. These are the primary instructions on becoming a member and also renewing your membership. 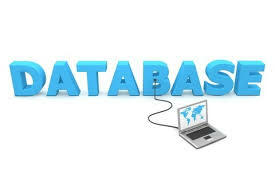 The new database is full of new and exciting things that will assist us in recruiting and retaining members. More information on this system is forthcoming. Thank you for Thinking BIG! "BIG NTI: Your Benchmark for Achieving Excellence in the Workplace"
The National Coalition for Equity in Public Service (NCEPS) opposes the implementation of Proposal #11“Reorganizing the U.S. Office of Personnel Management of the Trump Administration Reform and Reorganization Plan: Discussion of 35 Government-Wide Proposals.” This proposal is scheduled to be implemented in March of this year. Six national non-profit organizations that promote the participation and advancement of minority and women managers as well as employees in the Federal Government wrote a letter to the Chairman of the Oversight and Reform Committee, in the strongest possible terms, stating that the Office of Personnel Management should remain an independent agency. Blacks In Government is one of the six national non-profit organizations that oppose this reorganization. Memo of opposition is attached. The National Blacks In Government (BIG) organization is concerned about the proposed changes to the federal employees' retirement system because it will adversely impact thousands of civil servants. BIG believes the four recommended changes to federal retirement benefits will diminish the quality of retirement life for many dedicated and loyal federal employees. 1. 1. To be an advocate of equal opportunity for Blacks in government. 2. 2. To eliminate practices of racism and racial discrimination against Blacks in government. 3. 3. To promote professionalism among Blacks in government. 4. 4. To develop and promote programs which will enhance ethnic pride and educational opportunities for Blacks in government. 5. To establish a mechanism for the gathering and dissemination of information to Blacks in government. 6. 6. To provide a nonpartisan platform on major issues of local, regional, and national significance that affect Blacks in government. On this Veterans Day, Blacks In Government salutes our Veterans and extend our gratitude for their service. They are our members, relatives, friends, neighbors and co-workers. These individuals committed to a cause larger than their own and accepted the challenge to defend our Nation. Our Veterans put everything on the line to protect our freedom. We may never be able to repay them for their sacrifice, but we can show them just how much we appreciate all that they've done. Everyone can do something to let Veterans know how much we appreciate their service. It takes great courage for a soldier to risk life and limb for his/her country and as civilians we must honor these heroes. This is the basis of the Veterans Day celebration. Honor these great men and women with words of appreciation. November 11, or what has come to be known as Veterans Day, was originally set as a U.S. legal holiday to honor Armistice Day - the end of World War I, which officially took place on November 11, 1918. President Woodrow Wilson honored the first commemoration of Armistice Day with the following words: "To us in America, the reflections of Armistice Day will be filled with solemn pride in the heroism of those who died in the country's service and with gratitude for the victory, both because of the thing from which it has freed us and because of the opportunity it has given America to show her sympathy with peace and justice in the councils of the nations..."
Legal Plans and Identity Theft Plan.